So says a study from MWWPR, which studied millennial consumers' interactions with booze brands from March to September. NEW YORK: Millennials may not like major corporations, but they don’t mind trying products from large, established liquor brands. Liquor brands’ influence over millennials was one finding in MWWPR’s online survey of more than 1,000 people aged 21 to 34 in the U.S. conducted from March to September. Focus groups were also conducted with bartenders, bloggers, and influencers in New York, Chicago, Los Angeles, Denver, and San Francisco. 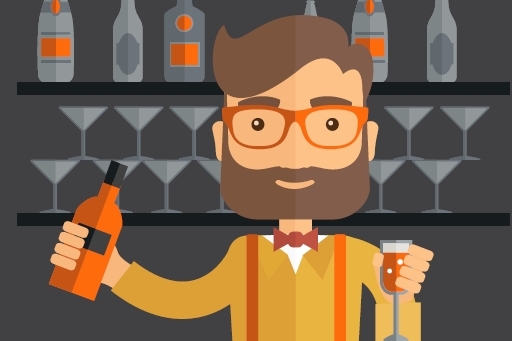 Friends, coworkers, bartenders, and brands – in that order – are the most trusted sources driving millennials to try beer, wine, and spirits, according to the research. Ninety-three percent of respondents said they usually try a liquor brand after someone recommends it to them. "We thought they were rejecting large brands, but large brands that have a story and show authenticity can show their relevancy to millennials and drive them to trial," said J.P. Schuerman, president of MWWPR’s Western region. "The story might be about how the spirit was distilled in the 1800s or a unique story about how a liquor brand is either bottled or distilled or its location or the family. The key takeaway there is big brands are not irrelevant; it is just how they package a message to bring the product to this generation." More than one-third of millennials are more likely to choose a spirit based on its unique history and tradition. A booze brand’s captivating and unique narrative lends itself to third-party validation, which can then be shared via social media. However, 66% of millennials are more inclined to try craft or small-batch liquor brands, which typically have captivating stories, rather than their "big brand" counterparts. When it comes to advocacy, millennials share their brand affinities with one another. Ninety percent get excited when they discover a new liquor brand; 66% tell their close friends when they discover one; and 31% share on social media when they try a new drink. Schuerman explained that the study delves into the emotional connectors and triggers that lead to a millennial trying a spirit and talking about it with friends and family on social media. "It is one thing to try something new and like it yourself, but for millennials, their reputation is their brand in their social channels and it is sacred," he said. "Just trusting someone to try isn’t enough for millennials to become brand advocates in their social channels." Earned media or influencers that have celebrity status were the two main triggers that encouraged millennials to talk about a spirit brand on their social media networks. Fifty-four percent of those surveyed shared spirits-branded content posted by a social influencer, and 45% distributed editorial content posted on social media. Once millennials have experienced a new spirit, they are most likely to share their discoveries on social media if influencers or traditional media outlets validate them, the study concluded. "The earned media hit is still so relevant, but getting the hit is just the beginning, and we need to know how to amplify every hit and see it more as the credibility piece versus the end circulation piece," said Schuerman. "From a comms perspective, we also have to engage influencers who are trusted by the specific audiences we are targeting. Gone are the days of just putting something out there and hoping for trust in what is going out."